This mini toptable sticker and toys screen printer is fit for printing on various materials such as wood, plastic, metal, glass, leather, cosmetics, gifts, or ceramic etc. it can print toys, cards, sticker, PVC/PET/PC products and so on. 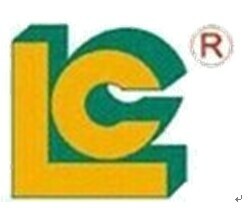 LUEN CHEONG PRINTING EQUIPMENT GROUP LTD was specializing in manufacturing LC brands . including luding :various pad printer, silk screen printer, hot foil stamping machine, UV Curing machines & cliche making machine for 26 years.There are customers from more than 110 countries to visit our factory and we had a good cooperation. 1.The guarantee time is 1 years, and maintain is lifelong. During this time, if any work piece dose not work well and which is not caused by worker and can not control naturally, the supplier provide it free of charge, but the carrier cost must be in buyer's side. And the machines have matched an urgent foot switch. 2 .The supplier must make sure the machine all work well before package. 4.Welcome your engineers to come to our factory for training.